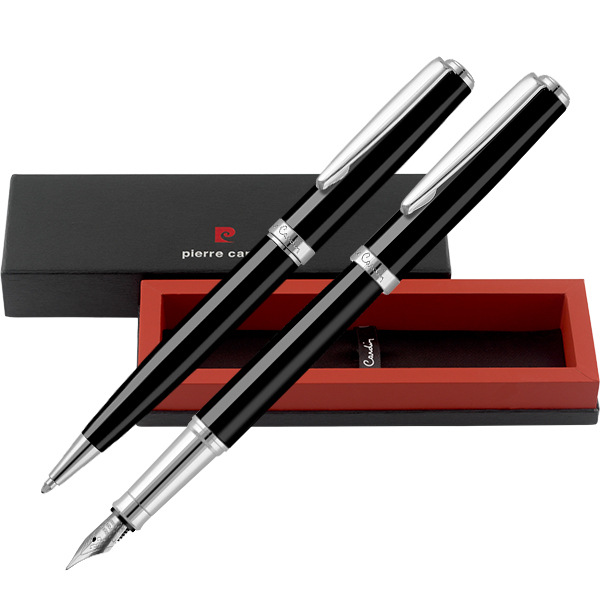 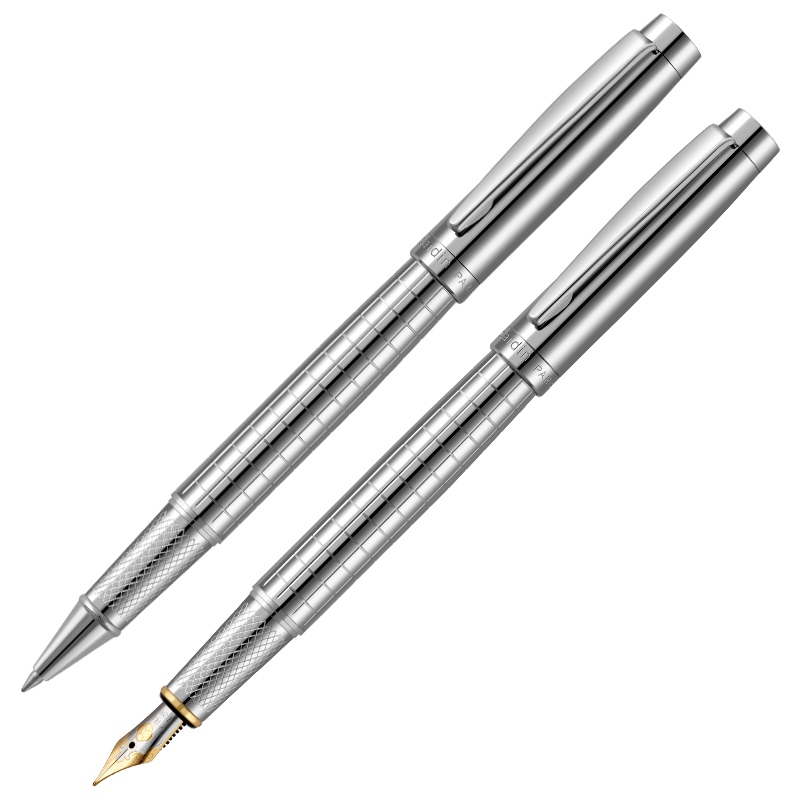 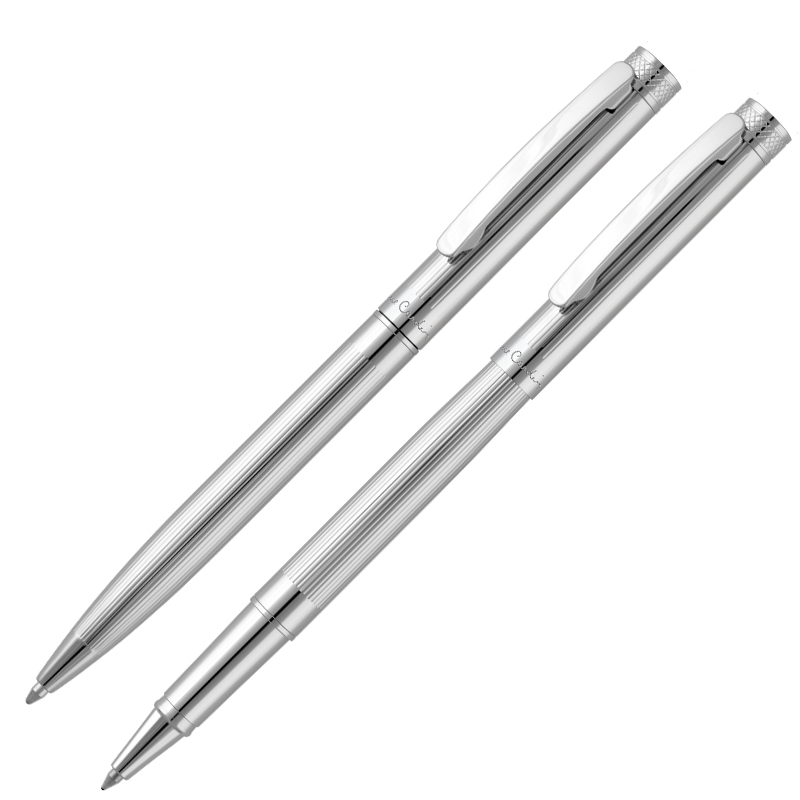 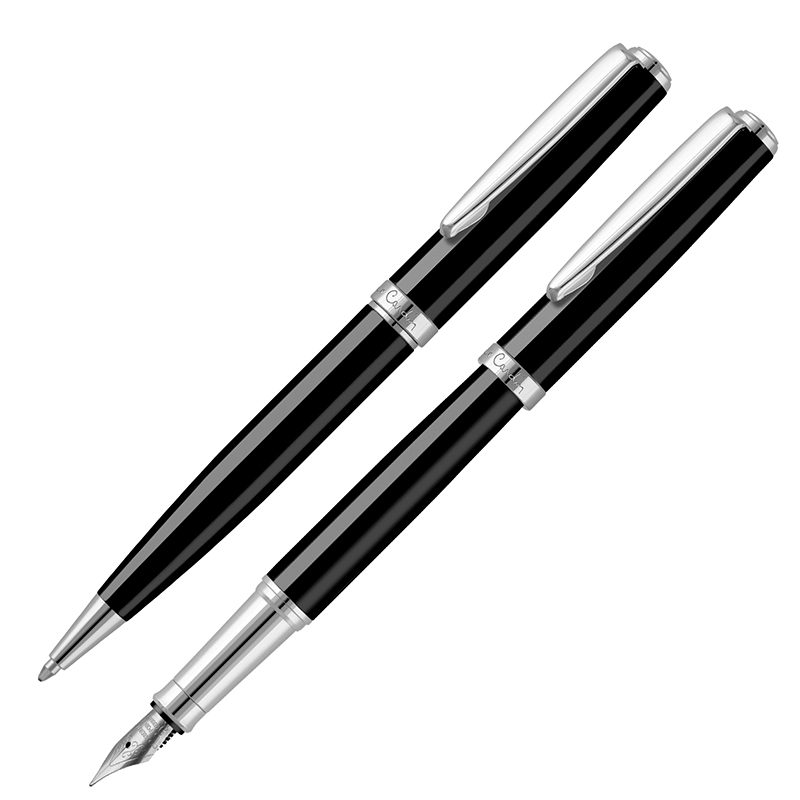 The Moulin Set pairs the slimline Moulin Ballpoint Pen and Rollerball for a truly exceptional gift. 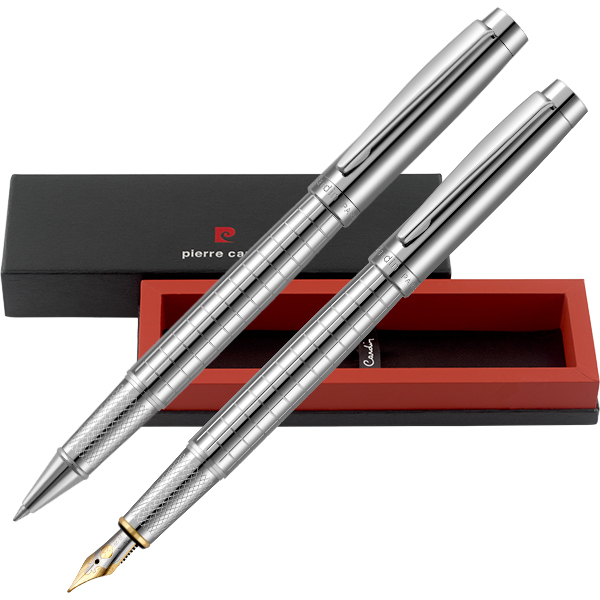 These sophisticated writing instruments are characterised by triple-plated chromium, hand-polished clips and the hand-worked guilloche pattern to the barrel. 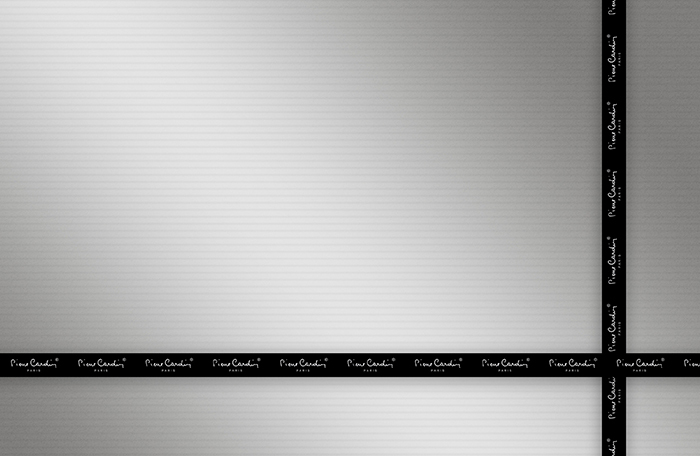 The attention to detail extends to each cap being individually adjusted to fit precisely with its corresponding barrel. The Moulin Ballpoint Pen and Rollerball include a high-quality refill containing Germen Dokumental™ ink and a Swiss tungsten carbide tip for extended life. 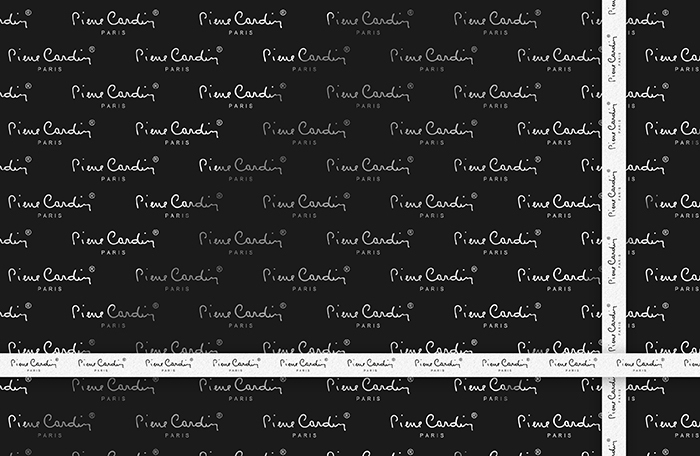 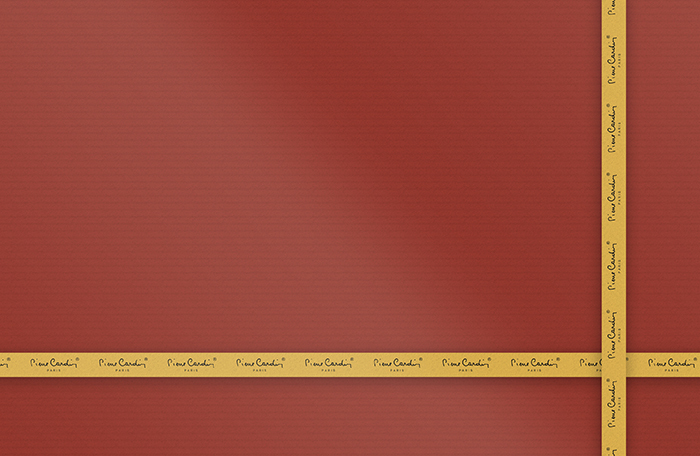 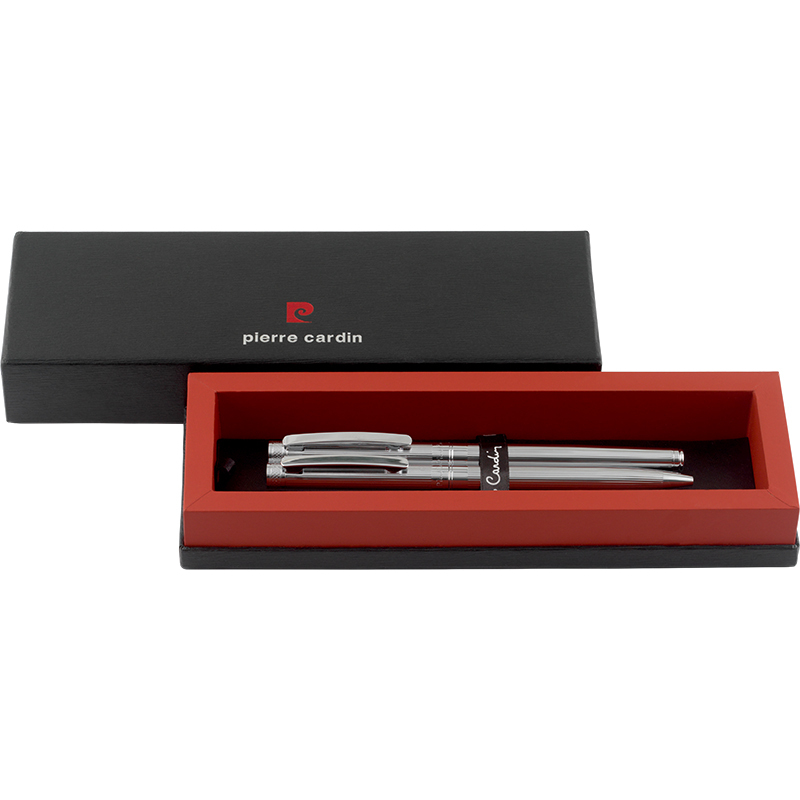 The Moulin Set is completed by the Pierre Cardin-branded PB03 gift box with soft-touch lining.